The tragedy or what might have happened ... A man is fleeing up a mountainside, his pursuers hard on his heels. He flinches. A flint arrowhead had just pierced his left shoulder blade and penetrated deeply into the flesh. He pauses as the pain hits him, his every movement a torment. He reaches back with his right hand and in a single jerk pulls the arrow out. The shaft snaps off, leaving the arrowhead embedded in his shoulder. ArcheoParc Schnalstal / archeoParc Val Senales is situated at Unser Frau in Schnals at a height of some 1,500 m. Visible from the museum building and from its open-air annex is Tisental with its mountain ridge, behind which was found the Iceman at 3,210 m above sea level. 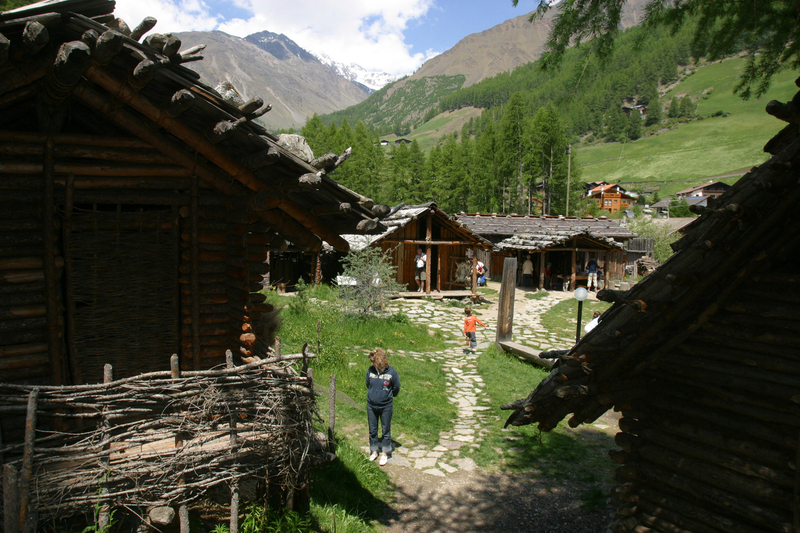 The purpose of this archaeological park is to recreate the past as vividly as possible. 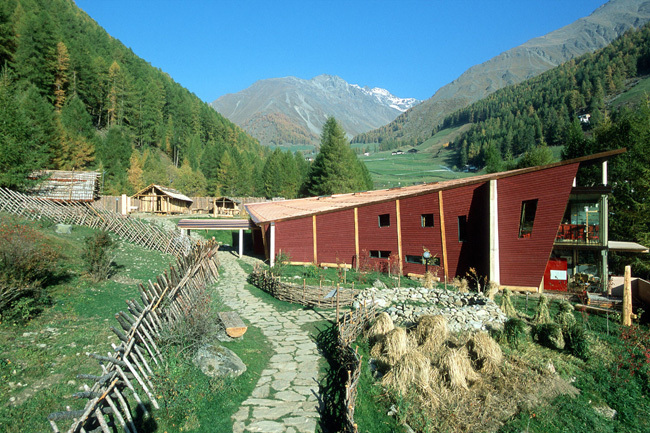 South Tyrol's first hands-on archaeology museum is distinguished by its unconventional architecture. In terms of construction, form and material, the low-energy museum building is a homage to the Neolithic originals that archaeology has unearthed, and covers an imaginary vista sweeping through Tisental up to Tisenjoch. Depicted along the way are topics ranging from the oldest human traces in the alpine region to the Iceman and his lifestyle and economic adaptation. Life-size house models based on the archaeological evidence convey an idea of how our forebears lived. I studied History of Art and Archaeology at the Universities of Salzburg and Bologna and graduated in 2005. I worked as a freelancer in education departments of different museums. 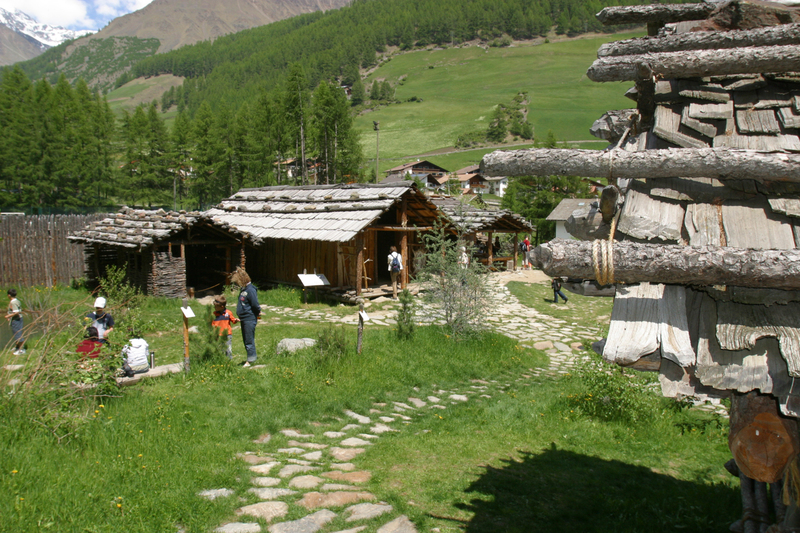 Since September 2007 I manage the hands-on museum Archeoparc with open-air area in Val Senales/South Tirol. My specific interests are didactics of cultural history and museum education. One of my biggest ambitions is to let people discover, that exploring our history and our roots is very exiting and teaches us a lot about life.